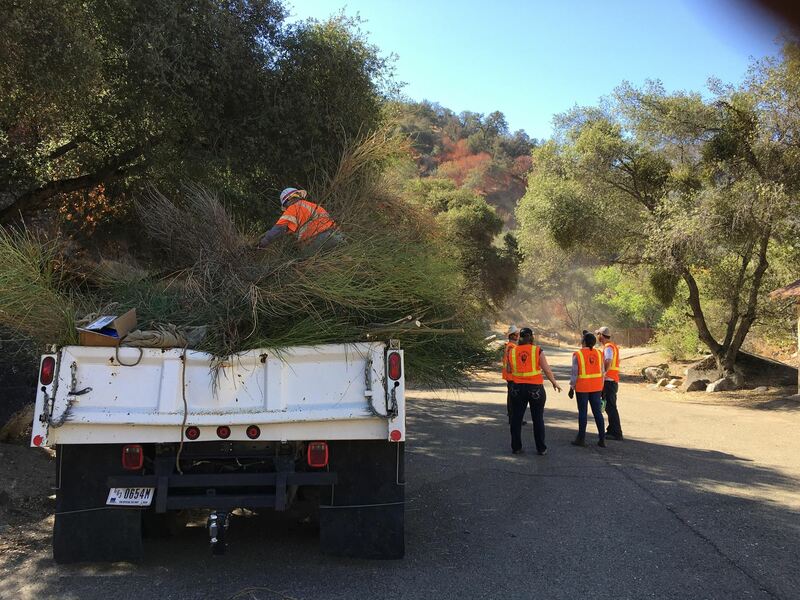 The expansion of the invasive plant, Spanish broom, along the Kaweah River in recent years is cause for concern and has captured the attention of those who are considering doing something about it. In fact, a growing list of individuals, private businesses and organizations, throughout Tulare County have begun planning the launch of “Caring for Kaweah,” a long-term project aimed at river stewardship. The first of several proposed projects will focus on broom removal and was planned for National Public Lands Day (NPLD). On September 24, 2016, volunteers cut, pulled, and removed broom starting in Sequoia National Park and working downriver. Considering that we rely on the Kaweah River for so much — water, recreation, relaxation, inspiration in addition to commerce, we are pulling together and giving back to keep our river healthy, free, wild, and beautiful. Many Three Rivers locals and visitors have probably appreciated the colorful spring beauty of the non-native Spanish broom (Spartium junceum) blanketing the edge and creeping up the banks of the Kaweah River. Unfortunately, broom, a native to mediterranean-type climates, is aggressively invasive in our region because the insect pests and pathogens that would normally control its spread in its native range, are not present here. Due to the lack of natural control, it is rapidly becoming dominant in the river corridor, obscuring river views, and cloaking white sand, gravel, and smooth granite boulders under dense scrubby thickets. Recognizing the plant’s capacity to considerably alter the enjoyment and ecology of our Kaweah River watershed goes a long way to temper appreciation of its flowers. 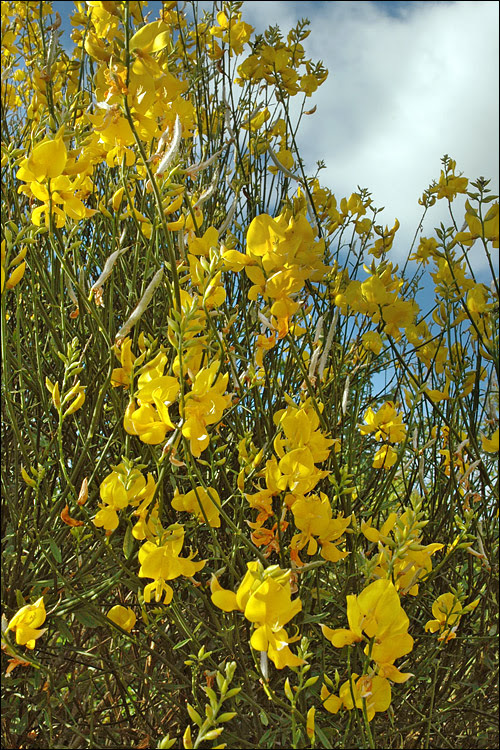 Spanish broom, like other invasive species expanding into the river corridor, poses a significant threat to wildlands throughout California and is quickly becoming a thriving monoculture along the Kaweah River. One needs only to glance at the river in spring to note the extent to which it has spread. Bushes up to 10 feet tall now block views along lengthy river stretches. As broom grows, its vast root system usurps precious water, trapping sediment, altering river flows and obstructing river access to humans and animals alike. Unlike the native willow, sycamore, and alder it is displacing, it provides little in terms of shade. Its alkaloid-containing leaves and seeds are of little value to wildlife. stands of broom pose a significant fire hazard in this land of continual drought. To participate or get more info, contact Jenny Kirk at jenny_kirk@nps.gov, or call (559) 565-4232. She will provide you with meeting location information for future outings.